By assigning jobs to your workforce, you essentially delegate jobs to them, who will then individually or jointly execute works on field. 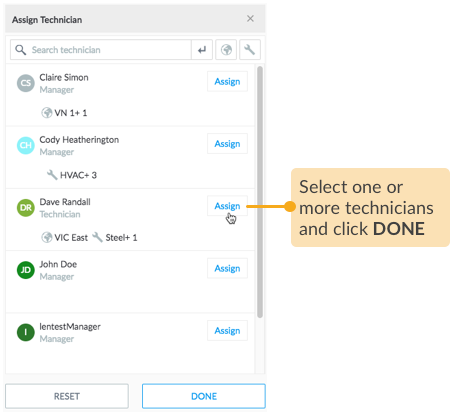 To update assign workforce to a job, select the job in either List view or Map view. With respect to the requirements of the job, ensure that you are selecting technicians with right trade skills and that work region is closer to the customer location. If any person is not yet added to your workforce on Loc8, you can do that right now. 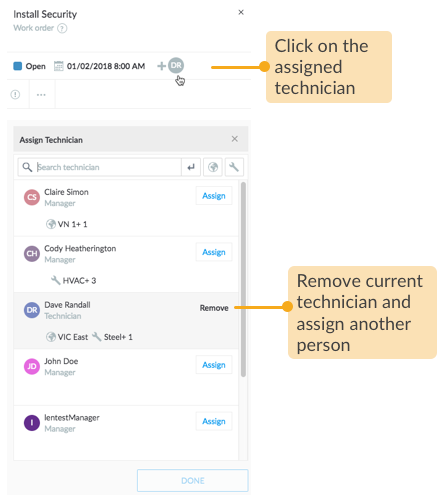 Just open your Workforce area in a new browser tab and invite that person. To reassign, simply remove the selected technician and make another selection.